Often confused with wills, trusts are a frequently misunderstood tool for estate planning. Though trusts and wills are often connected within an estate and have some abilities in common, they are two different legal documents. Like a will, a trust comprises a list of property and names people or entities who are to receive that property if the trust-maker, or grantor, dies. Unlike a will, a trust cannot provide instructions for the payment of taxes or other debts. It also cannot name guardians for children. Additionally, unlike a will, a trust is not a public document and can, unless the trust is created by the execution of a will, keep details about the distribution of property private after the grantor’s death. For the purposes of estate planning, however, the most important benefit of a trust versus a will is that property distributed through a trust can reach its beneficiaries without going through the costly legal process of probate. 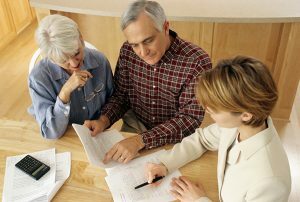 There are four types of trusts used by estate planning lawyers in Pennsylvania. When discussing trusts, “revocable” simply means “changeable.” A revocable trust, sometimes called a “living trust,” can be modified by the grantor in any way up until their death. Property, beneficiaries, or trustees can be added or removed from the trust at any time through amendments to the trust document. The fluidity of a revocable trust makes them a popular option for people who want chiefly to avoid probate for their beneficiaries and enjoy the privacy afforded by trusts. It is important to note, though, that property that is listed on a revocable trust continues to belong to the grantor until their death. It can be targeted for seizure by creditors and taxed as part of the grantor’s estate. As the name suggests, an irrevocable trust is, in its most essential respect, the opposite of a revocable trust. Once the grantor creates the trust, they may not modify it in any way. In exchange for this inflexibility, however, an irrevocable trust offers important benefits. Unlike a revocable trust, an irrevocable trust can preserve assets that might otherwise be at risk from creditors. Once property is transferred into an irrevocable trust, it no longer belongs to the grantor. Therefore, even if the grantor subsequently becomes insolvent, the assets placed previously in the irrevocable trust will be preserved for the trust’s beneficiaries. By the same token, the government cannot levy tax against a grantor – or their estate – based on the value of property that they’ve previously transferred into an irrevocable trust. That property no longer belongs to the grantor and thus cannot be included in the assessed value of their estate. For similar reasons, an irrevocable trust can help its grantor qualify, later in life, for government benefits such as Medicaid. Again, assets transferred into an irrevocable trust are no longer the grantor’s property, and thus are not included in any asset-based qualifications for Medicaid or other government benefits. Despite its name, there are a limited number of situations in which an irrevocable trust can be modified. In some cases, this ability is written into the language of the irrevocable trust itself, usually in the form of an independent third party, known as a trust protector. A trust protector typically is empowered to change the terms of the irrevocable trust if the circumstances of the trust’s assets or its beneficiaries have changed substantially, particularly in a way that the grantor could not reasonably have anticipated. If the irrevocable trust is not written to include a trust protector, a court order would likely be necessary to make any modifications. Unlike revocable and irrevocable trusts, which are created by living grantors, a testamentary trust is created by the terms of a will. As such, property that is willed to the trust must go through probate. Additionally, because the trust is established by the language of the will, which becomes a public record, the terms of a testamentary trust are also public. There are, nonetheless, circumstances that can make a testamentary trust an appropriate estate planning solution. The goal of a supplemental needs trust is to provide for the care of a loved one who is disabled or otherwise has special needs. The beneficiary is usually related to the grantor, but does not need to be. The grantor may designate a friend or any other person as the beneficiary of a supplemental needs trust. Supplemental needs trusts should be created with care to ensure that they do not compromise the beneficiary’s eligibility for any federal or state disability benefits, financial or otherwise, that could assist them in their day to day lives. The choice of trust for a given estate planning situation is best made with the assistance of an experienced estate planning attorney. Our estate planning lawyers can review all the circumstances that influence an individual estate and help guide that person towards the solution that will best protect their assets and help provide for their eventual survivors.